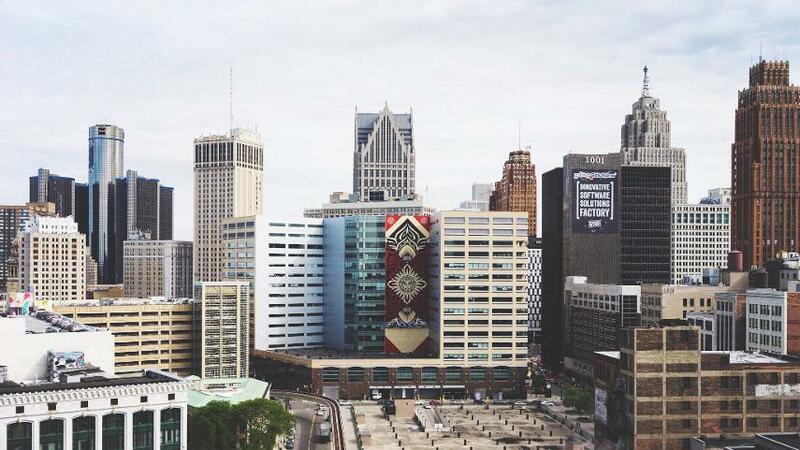 In May 2015, Shepard Fairey visited the city of Detroit to paint his largest mural to date. 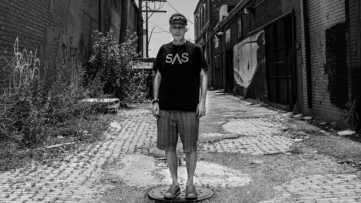 But besides the amazing 184-foot tall piece covering the 18-story One Campus Martius building, the American street artist also painted some other properties, and this illegal act brought him an arrest warrant. On July 14th, the Obey creator turned himself in at Los Angeles International Airport, but was spared jail time with a bail set for $75,000. Now, the Shepard Fairey vs Detroit police saga continues, as some new information about the case emerged on August 27th, at a pretrial conference held by a Detroit city attorney that Shepard Fairey did not attend. 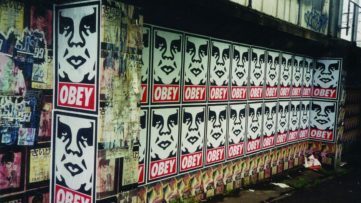 According to the Detroit city attorney, the author of the famous Obama HOPE poster and the renowned graffiti artist Shepard Fairey caused $30,000 of damages – and counting – done on six private and three city-owned properties in Detroit. At the pretrial conference, the exact addresses of these locations were put on view, revealing that many of them are on East Jefferson. 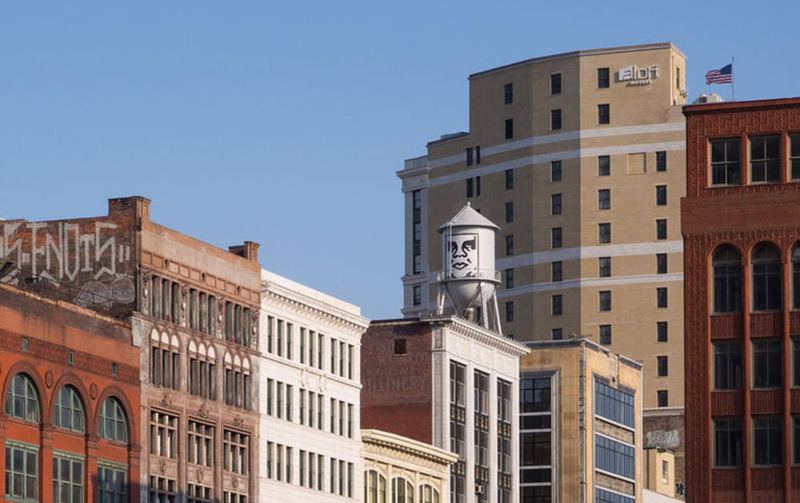 Apart from his legal mural on the east side of 1 Campus Martius, several other temporary murals and a large billboard on East Grand River, the authorities say that Shepard Fairey also pasted his trademark stickers with the OBEY logo onto 14 other properties, without the permission of the owners. As a result, Shepard Fairey is charged with malicious destruction of property. Will Shepard Fairey be convicted of vandalism? Share your opinion on our Facebook page. Stay up-to-date with the latest in the Shepard Fairey hearing by signing up for My Widewalls. 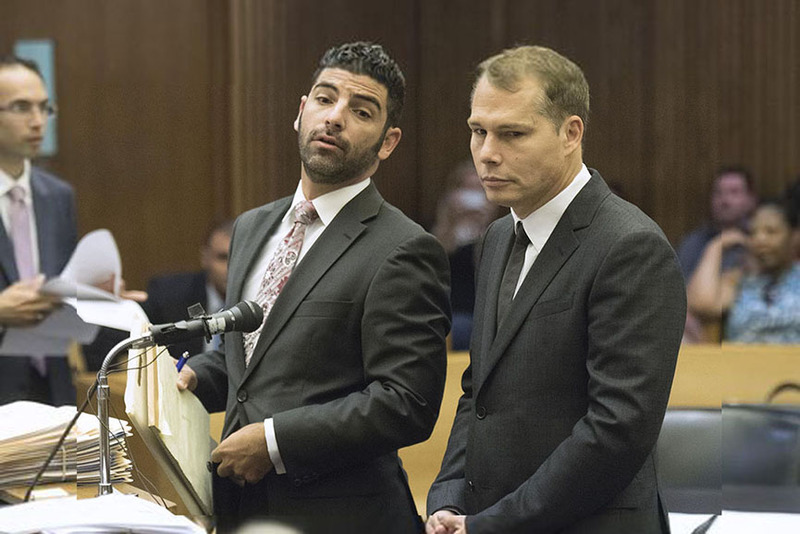 Featured image: Attorney Bradley J. Friedman, left, and his client, Shepard Fairey. Photo via Detroit NewsAll images used for illustrative purposes only.